I don’t know if any of you ever saw the film “Recipes for Disaster”. It shows a family trying to live for a year without petrol-based products. I don’t think I’m giving away the plot by telling you that they find it virtually impossible. it particularly shows just how much we have come to depend on “fantastic plastic”. To the extent that we have used as much plastic in the last 10 years as we did in the last century, and in Europe consumption is still increasing at 5 % every year. Plastic has so many great qualities; it is versatile, durable, cheap and light. But of course some of those qualities make it “drastic plastic” for our environment and for marine life. It is often more durable than the products we make with it, and its low cost means we are using more and more short lived and disposable products. So it is time to look carefully at how we use plastic, and particularly what we do to in it when we’ve finished using it. And that is exactly what we are doing. 7 months ago I launched – with the help of Jeremy Irons – the Green Paper on Plastic Waste. The response to our call for opinions just shows how important this issue is. We received more than 270 responses, including from 14 Ministries of Environment and from some national Parliaments. The European Economic and Social Committee and the Committee of the Regions have already adopted opinions on the Green Paper, and the European Parliament’s opinion is expected very soon. Of course it takes a long time to analyse all these responses and structure the results on such a complex issue, but the evaluation process is moving on and I can already today give you a preview of stakeholders’ views. Before I go into detail, let me briefly explain how the Green Paper on Plastic Waste fits into the wider picture. Into our efforts to make the use of resources more efficient, to develop a circular economy, and to combat marine pollution. 4. In which products are designed in such a way that they can be reused and easily recycled from cradle to cradle. These objectives were confirmed by the European Parliament and Member States in the 7th Environment Action Programme. If we look at plastic production processes and plastic waste management today, we are a very long way from these objectives. Even in the best performing Member States, recycling rates for plastic are fairly low. In 2012 only around 24 % of plastics were collected for recycling1 in the EU. Around 50 % of plastics still go to landfill and the rest is incinerated. This has to change! So plastic waste exemplifies the challenges we have in creating a circular economy. The Green Paper deals specifically with plastic waste as a single horizontal waste stream, but as part of the resource efficiency and resource conservation story. The central issues around which the paper asks 26 specific questions are: “how can we do more with less” and “how can we address resource depletion effectively”. 1. First, product design must focuses on durability, cradle to cradle recycling and reparability. Toxic material such as endocrine disruptors and heavy metals should not be found in any plastic. 2. Secondly, the real costs of plastic production should be internalised, with full responsibility for collection of used plastic goods for recycling, and appropriate consumer information about any relevant environmental aspect of plastics. 3. Thirdly, plastic must be used more sustainably and we should not produce so many items that are thrown away immediately after purchase. 4. And finally, we must set out to achieve a 100 % collection rate for plastic and establish the conditions for recycling to be a profitable business. Diverting all plastics from landfills is already an important element. So what were the main results from the Green Paper consultation process? First who did we hear from? 1. The largest group of respondents were associations, 60 % from industry and 19 % NGOs. The second largest group were governments and public administrations, including 14 Ministries of Environment. 2. Most reactions came from countries with higher plastic recycling rates and better performance in waste management; we also received replies from non-European countries, USA, Turkey and the Philippines. And what is the overall message that came across? 4. Most respondents argued that the EU should stop funding landfilling and incineration and should start using public money to upgrade recycling infrastructures in Europe. 1. Nearly half of all respondents call for improvements to waste sorting and collection in all Member States, preferably through separate door step collection combined with “pay as you throw” schemes. 2. While many respondents support voluntary action, a large majority call for better implementation and improved legislation, including a landfill ban for plastic. They also want stricter and additional recycling targets and stricter export controls, to ensure that European waste is not dumped or recycled in substandard facilities in third countries. 3. As regards consumer behaviour, the consultation highlights the need to improve information to consumers – in particular on recyclability of plastic. This is seen as very important by more than 160 respondents. Also, a majority favours the development of “deposit and return” systems or lease systems. 4. There is also strong support for promoting mono-materials and improved plastic design in order to increase recyclability. 5. Regarding the chemical content of plastics, many respondents believe that restrictions in the use of additives are needed and that more information should be made available – for example, through safety data sheets or through the development of public database on plastic chemical content. Moreover, current legislation is felt to not sufficiently address the risks arising from the use of micro-plastics in products. · that Market based instruments should be introduced to address the waste burden posed by short-lived and single use plastic products. 1. On biodegradable plastics and bio-based plastics, the answers were most split. A majority of respondents think that biodegradable plastic as well as bio-based plastic, should not be promoted generally, but rather on a case‑by‑case basis and under properly defined conditions. It was also stressed that a clear legal distinction will be needed between naturally compostable and technically biodegradable plastics. 2. The consultation shows that there is increasing public concern over marine litter and plastic waste. Most respondents believe that awareness-raising is important to reduce marine litter and they see coastal clean-up days as a necessary response that could be coordinated at EU level. There is also broad support for the establishment of an EU wide quantitative reduction target for marine litter. 3. Finally, the international dimension has been highlighted by many stakeholders. In their view, the EU should promote international action on plastic waste and support best practice worldwide, including on marine litter prevention. This consultation shows that – in the EU – we have started to move in the right direction. There is a very high level of convergence between the answers we received and the more general policy objectives we are already pursuing on European waste policy. Concrete preparatory work on diverting plastics from landfill and on increasing plastic recycling targets is already going on in the upcoming review of waste targets. Other issues will be addressed as part of the regulatory fitness check of our waste stream directives, particularly the packaging waste directives. We should also adopt very soon a specific legislative proposal concerning lightweight plastic bags. Targets are still a useful driver for investment in better waste management, but the real driver leading us towards a circular economy is the economic rationale for treating our waste as a resource. Just implementing existing waste legislation properly would create 400,000 jobs in the EU. The benefits in terms of materials savings and reduction of greenhouse emissions are also significant. But the potential of moving towards a truly circular economy – where materials are used again and again instead of going on a one-way trip – is huge. I believe that with the Green Paper on plastic waste in the environment this debate has gained momentum and that it will help us to move another step closer to a circular economy. Thank you for your contributions to the public consultation and I wish you an interesting conference. I hope that you can help us to keep the “fantastic”, and get rid of the “drastic” in plastic. Curious as to what the toilets of the future will look like? The Bill and Melinda Gates Foundation sponsored a competition to design toilets of the future. Factored around sustainability and water management, these new technology super-poopers are still prototypes today. However, new innovations for making pooping safe for the world could be ready for business soon. Be advised, we are not making up the names of the devices. Technically the poop blaster is called the Porta-Toilet Facility, designed by researchers at CalTech. This system is a solar powered waste treatment system that turns poop into fuel. It can service up to 500 people a day and produce hydrogen, electricity and water. The water can then be used to flush the next time. The hydrogen is used in fuel cells that keep the toilet running after dark when the solar power is asleep. Using new innovations in toilet technology, the Eawag group – or Swiss Federal Institute of Aquatic Science and Technology – created a squat porta-potty that automatically opens and closes. It separates liquids from solids, and then treats them independently. It recycles water used for flushing, and then seals itself after you have finished your business. In a questionable use of new technology, the Eawag toilet allows users to watch the progress of the poop through a clear plastic window. The group sees this bathroom renovation as ideal for developing countries. Delft University of Technology created a concept system that turns dried poop into hydrogen gas. This new innovation dries the feces first, and then burns it at super-hot temperatures. Super-hot as in over 2500 degrees Celsius. Plasma gasification occurs when an electrical current passes through a gas, creating plasma. The plasma is exposed to the pre-dried poop, creating hydrogen gas for storage in a fuel cell. This new technology also kills all pathogens in the dried feces, which is a major public health bathroom renovation boon. Not to be outdone, the National University of Singapore used Pee Power to create urine-based fertilizer. The system is based on a urine-diversion toilet that separates Number One from Number Two. A solar-powered poop dryer does its thing, and then the poop is burned. The burning heat evaporates the urine, leaving two products behind: water and fertilizer. Urine, it turns out, is made of lots of nitrogen, phosphorous, and potassium. After the system has done its business, users are left with ash, water and fertilizer, all agriculturally useful products. The system uses old-fashioned manual labor to operate, which may be a drawback, especially when advertising poop-burner jobs in the local classifieds. However, many areas of the world desperately need both improved sanitation and agricultural fertilizer. Bringing up the rear in bathroom renovation is Oklahoma State University with the poop grinder prototype. This device mechanically disinfects feces, making it safer to handle. The poop goes between two cones, which rotate and heat the poop to 200 degrees Celsius. The heat kills the bugs in the feces, reducing health risks from raw human waste. This machine is also crank-operated. The best thing about the Poop Grinder is the image and accompanying video. If you watch the video, you’ll find out where in this contraption the poop goes in and comes out. We think it is amazing how the Bill and Melinda Gates Foundation is supporting so much work towards sustainability and health issues in the developing world. Waste handling is but one part of the need for new innovations in waste management. Glamorous? No, probably not. But the new technology is definitely needed in an increasingly crowded world. How do you think these future poopers can be adapted to everyday home use? Will your future bathroom renovation include technology to turn waste into fuel for your home? Are you as amused by some of these toilet names as I am? The Resource and Waste Management Show (RWM) 2013 provided waste industry representatives a chance to network and keep abreast of the latest innovations and developments from across the sector. Organisers say that over 13,000 visitors were in attendance at the NEC in Birmingham across the three days (September 10-12). Letsrecycle.com rounds up some of the developments on show at this year’s exhibition. Dennis Eagle rolled out its ‘Elite 6’ model at RWM 2013, an addition the refuse collection vehicle manufacturer hoped would offer visitors a “sensory experience”. In its drive to meet Euro 6, a standard whereby all heavy goods vehicles (HGVs) registering on or after December 31 2013 must be fitted with a Euro 6 engine, the company has spent £4.5 million developing its new fleet, with 50 orders in the pipeline so far. The Elite 6 includes include LED lights for enhanced driver visibility, improved acoustic performance, greater in-cab comfort and safety, and reduced CO₂ emissions. While not mandatory, the vehicle also features sensors to identify the proximity of pedestrians and cyclists. Developed with Volvo, the Euro 6 engine is 4-5% more fuel efficient than its predecessor Euro 5, a difference Dennis Eagle intends to put to the test when trial collections are carried out in the coming weeks. Disposable product manufacturer CeDo showcased a ‘game changing’ black bin liner at this year’s RWM show, part-manufactured from previously unrecyclable material of the household waste stream. The bag, part of the Household Waste – Saved from Landfill range, has been touted by the company as a “Made in Britain success story”, as the bin liner is 30% composed of UK plastics film domestic recyclate, a figure CeDo hopes to treble within two years. An estimated five years in the making, the black bag uses dry cycling technology in order to separate and recycle the household waste stream. Unlike other bin liners which collect industrial or farm films as the primary feedstock, CeDo uses mixed plastics film waste. As with its past products, CeDo hopes its range will achieve fully traceable and quality assured systems, while contributing to the UK’s drive for closed-loop solutions. SAICA Natur hosted two thought leader panels at the RWM’s C&I Theatre this year, highlighting the savings retailers can make by adopting zero waste operations. Taking place on Tuesday 10 and Wednesday 11 September, the talks included speakers from Sainsbury’s, Travis Perkins, Kuhne & Nagel, Mall Cribbs Causeway, and Bristol Airport. Aware of the changing face of retail recycling, SAICA Natur previously illustrated how shopping centres could cut the amount of waste sent to landfill and achieve zero waste goals, by transforming the Princes Mead Shopping Centre in Farnborough (see letsrecycle.com story). This year’s RWM saw waste contractor Biffa partner with the Chartered Institute of Wastes Management (CIWM) and StreetLink, a service which allows the public to connect rough sleepers to local services, to promote the issue of homeless people sleeping in bins. Drivers, who last year reported one fatality 20 incidents of finding individuals in bins, are trained by Biffa to check waste containers of their 60,000 commercial customers. The contractor also hosted a press conference at the NEC show to launch a new piece of research, working with CIWM to determine how many people are found sleeping in bins each year, as well as where they are located and in what type of bins. The important role that gasification processes could play in delivering energy from waste facilities in the future was emphasised by Rolf Stein, chief executive of Swindon-based Advanced Plasma Power. The company, he explained, is currently focusing a lot of its activity on a bid to develop a prototype facility for the Energy Technologies Institute (ETI) which is running a competition process for funding for a demonstration facility in the UK. Mr Stein added that the company has secured an existing waste management site for the plant in the West Midlands and was soon to submit a planning amendment for the plant. The AP-led consortium will design a demonstration facility with an electrical output of 6MWe. APP’s Gasplasma technology will be used to produce a clean syngas as a fuel for the development and demonstration of high-efficiency power generation solutions. The Gasplasma process uses a separate plasma furnace to crack and clean the crude syngas from a gasifier prior to its direct utilisation in gas engines or a gas turbine. Mr Stein added that the company has received interest in the process “from all over the world” and that a demonstration facility in the UK would lead to “enablement of commercialisation”. Teaming up together at this year’s show, Simply Waste Solutions and MOBA Mobile Automation introduced their on-board weighing and bin identification system, which is currently available in the European market. The partnership formed after Simply Waste, following a procurement search, was convinced by MOBA’s vibrating-wire technology in which weighing sensors convert force into electrical signal. The system will identify overflowing bins to help their customers control the waste they present for collection. Stand by for a flurry of concern over the future of the planet as the Intergovernmental Panel on Climate Change (IPCC) today issues its latest assessment report (AR5) on the extent to which man is contributing to changes in climate. From the leaks that have already appeared it is clear that the IPCC will assert it is more confident than ever (95 per cent – compared with 90 per cent in 2007) that global warming is real and is at least 50 per cent due to the carbon dioxide-producing activities of man. Earlier reports have issued dire warnings of soaring temperatures and rising sea levels. But today’s report is expected to scale back some of its earlier predictions and will forecast temperature increases by the end of the century of between 1 degree Celsius to 3.7 degrees Celsius. One of the difficulties for the report will be to explain the “pause” in the rise in temperature over the past 17 years. The IPCC is now forecasting a rise in sea levels of 40-60 centimetres by the end of the century, which is a good deal less than earlier forecasts of one to two metres, and altogether less alarmist than Al Gore’s predictions in his film An Inconvenient Truth of increases of seven metres. This would have submerged places like the Netherlands, Bangladesh and Florida. Although the IPCC is reducing its more dire forecasts, it is still preoccupied with the idea that the production of carbon dioxide through the burning of fossil fuel contributes 50 per cent of global warming. There are many climate scientists, who are beginning to get their voices heard above the hubbub of the alarmists, who believe variations in climate are more due to natural occurrences such as changes in ocean temperature cycles, volcanic activity, sun spot activity and so on. But the preoccupation with carbon has led to billions being spent on pointless policies to mitigate the perceived problem. Writing on his blog, Bjørn Lomborg, an adjunct professor at the Copenhagen Business School, says that the European Union “will pay US$250 billion for its current climate policies each and every year for 87 years. For almost US$20 trillion, temperatures by the end of the century will be reduced by a negligible 0.05ºC.” This is clearly nonsensical but governments and corporations are blithely committed to these policies, some because they believe the science, others because they feel they can’t afford not to and will incur reputational risk if they don’t, while governments feel it could cost them votes. China Daily has a cheery tale about Beijing’s sewage. Some 17 per cent of it goes straight into its rivers untreated. Unsurprisingly an investigation into the quality of surface water in the capital, by the Department of Environmental Protection at the North China Centre for Environmental Inspectors in early August, found all its 50 rivers, except nine that had run dry, were polluted. Beijing’s water treatment facilities are based on its population hitting 18 million by the end of 2020. However, the city’s population, according to the statistics bureau, exceeded 20 million last year. Although the government has been expanding its sewage works, it is expected to take some time before these measures have significant impact on the polluted rivers. THE latest major report on climate change by the United Nations says the world is on track to become hotter by 2C by 2100 and that it is more certain than ever that human activity is the main cause of global warming. Compiled by scientists from around the world and released Friday evening Sydney time in Stockholm, Sweden, the Intergovernmental Panel on Climate Change’s fifth assessment paints a gloomy outlook. It says the earth’ average surface temperatures has increased by 0.85C since 1880. It says it is now ”extremely likely” — with a 95 per cent certainty — that humans rather than natural variations, are the dominant cause global of warming. The report says sea levels are expected to rise between 26cm and 8cm by 2100. If emissions from human activities remain high, the IPCC report predicts that the world is on track to warm by more than 2C, and possibly by more than 4C, by 2100. The IPCC said its latest report was based on multiple and independent evidence, much of which is new since the IPCC’s previous report in 2007. The new report warns heatwaves will be more common and last longer and most wet regions will get more rainfall. 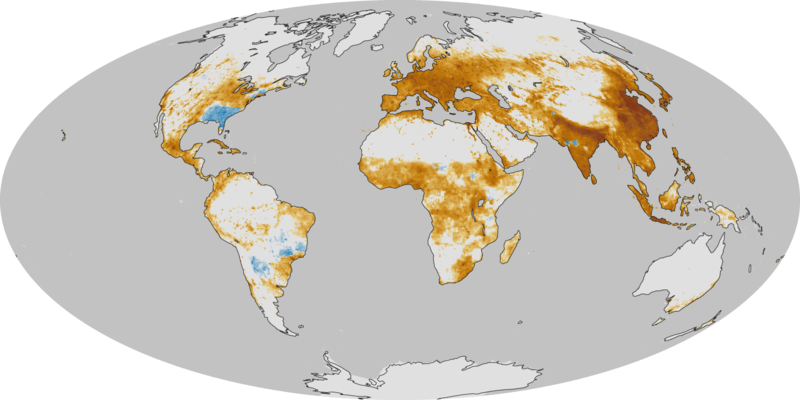 Most dry areas of the earth will become dryer, the report says. The report says that since 1850, each of the last three decades has been warmer than any preceding decade. The last 30 years have been the warmest since 600AD, and that between 1901 to 2010, the sea level rose by 19cm. This rise was quicker than the average sea level rise for the last 2000 years. It says greenhouse gases have reached levels unseen in at least 800,000 years. The cause, it says, is fossil fuel emissions and land use. The ocean has also become more acidic as it absorbs a third of the carbon dioxide being emitted. Critics of the IPCC report have said it still fails to properly take into account the earth’s heat varies because of natural climate cycles. Want to know where people are most likely to die prematurely due to air pollution? NASA recently recently released a map (below) showing the average number of deaths per year per 1,000 square kilometers (385 square miles) that can be attributed to fine particle matter pollution. Researchers compared pollution levels over a 150-year span, beginning in 1850 and ending in 2000. The dark brown areas on the map, shown prominently in Asia, India, Europe and parts of Africa, indicate locations with the highest rates of premature deaths due to air pollution. Blue areas, as seen in the southeast United States and parts of South America, indicate areas that have seen air quality improve and the number of deaths due to air pollution decline. Why are so many areas getting worse? According to NASA, that can be attributed to increased industrialization and urbanization. As to the areas in blue that have seen air quality improve from 1850 to 2000, researchers suggest that a decrease in biomass burning is the cause. The research used to create the map comes from University of North Carolina professor Jason West. Published in Environmental Research Letters, the study estimated that roughly 2.1 million deaths per year could be attributed to fine particle matter pollution alone. What’s fine particle matter? The Environmental Protection Agency (EPA) defines it as “a complex mixture of extremely small particles and liquid droplets.” Particle matter that is 10 micrometers in diameter or smaller is particularly worrisome “because those are the particles that generally pass through the throat and nose and enter the lungs,” according to the EPA. Occasionally, short-term meteorological conditions merge with ongoing human emissions to produce extreme outbreaks of air pollution. In January 2013, a blanket of industrial pollution enveloped northeastern China. In June 2013, smoke from agricultural fires in Sumatra engulfed Singapore. But exactly how much exposure to air pollution do people around the world get? And how much health damage is it causing? Since there are gaps in networks of ground sensors, University of North Carolina earth scientist Jason West is leading an effort to answer those questions using computer models that simulate the atmosphere. In 2010, West and colleagues published an estimate of the global health effects of air pollution based on a single atmospheric model. More recently, West and colleagues thought they could improve their calculations by using results from a range of atmospheric different models—six in all—rather than relying on just one. In 2013, they published their results in Environmental Research Letters, concluding that 2.1 million deaths occur worldwide each year as a direct result of a toxic type of outdoor air pollution known as fine particulate matter (PM2.5). The map above shows the model estimate of the average number of deaths per 1,000 square kilometers (386 square miles) per year due to air pollution. The researchers used the difference in pollution levels between 1850 and 2000 as a measure of human-caused air pollution. Dark brown areas have more premature deaths than light brown areas. Blue areas have experienced an improvement in air quality relative to 1850 and a decline in premature deaths. Fine particulate matter takes an especially large toll in eastern China, northern India, and Europe—all areas where urbanization has added considerable quantities of PM2.5 to the atmosphere since the start of the Industrial Revolution. A few areas—such as the southeastern United States—saw PM2.5 concentrations decline relative to pre-industrial levels (shown in blue). In the southeastern United States, the decrease in PM2.5 is likely related to a decline in local biomass burning that has occurred over the last 160 years. Anenberg, S. et al, (2010, April 9) An Estimate of the Global Burden of Anthropogenic Ozone and Fine Particulate Matter on Premature Human Mortality Using Atmospheric Modeling. Environmental Health Perspectives, (118), 1189-1195. Discover (2013, July 17) Air Pollution Kills More Than 2 Million People Every Year. Accessed September 16, 2013. Institute of Physics (2013, July 12) Researchers estimate over two million deaths annually from air pollution. Accessed September 16, 2013. Silva, R. et al, (2013, March 23) Global premature mortality due to anthropogenic outdoor air pollution and the contribution of past climate change. Environmental Research Letters, 8 (3). Earth Observatory image by Robert Simmon based on data provided by Jason West. Caption by Adam Voiland. The environment watchdog is considering a 12-month trial scheme to test the viability of charging for waste disposal, and assess whether such charges help to reduce waste. The scheme, which is expected to be launched in the middle of next year, will involve at least 12 residential housing estates with different social and economic characteristics. A variety of models of quantity-based waste charges will be tested. Two buildings from each estate will take part, one of each being for control purposes. A spokesman for the Environmental Protection Department confirmed it was considering the experiment, but no details have been finalised. News of the proposed trial came as environment minister Wong Kam-sing yesterday urged the Council for Sustainable Development to submit a report on waste charges by the summer of next year. That would be months earlier than the timescale suggested by council chairman Bernard Chan on Wednesday, when he launched a four-month consultation on the issue of charges. “We cannot delay on the issue any more. We have waited for more than 10 years,” said Wong. A source familiar with the proposed trial told the Post that three charging models will be tested. Two models involve charging individual buildings by volume or weight of waste. Under the volume model, waste will be measured by the number of 660-litre rubbish bins used. The charge for each bin will be HK$660. Under the weight model, rubbish will be weighed and charged at HK$500 per tonne. The third model requires households to buy garbage bags from the building’s management firm. The proceeds would be kept by the firm and the owners’ incorporation could decide if the money should be refunded later. Meanwhile, Chan yesterday said Hong Kong should not follow examples from overseas and introduce a system for reporting fly-tipping, as such a system would not fit in with the local culture. “A reporting system does not fit the Hong Kong culture and it will create more social conflict. But there might be a need to install surveillance cameras in certain lanes to prevent fly-tipping,” he said on a radio programme yesterday. According to a survey conducted by the World Green Organisation in mid-September, 65 per cent of about 1,000 people polled supported charging households for waste disposal by volume. About 60 per cent said they were willing to pay HK$30 a month and another 25 per cent said they would be willing to shell out HK$50 a month. Dear All, thanks for your wonderful work in name of all my Capannori Municipality! We are honoured to be treated as flagship of ZW in Europe. We know that in Italy (where you can find the worst but also the best) there are many municipalities reaching over 80% of source separation rate maybe better than in Capannori, my municipality. But our history is a different history from Veneto region (where in many big towns are reaching over 75% of source separation rate) or in the south (where Salerno is reaching over 70%) because here all started with an incineration proposal from Tuscany region government and where all finished with the defeat of all incinerators (including existing ones) and with the first Italian municipality adopting a ZW goal at formal level (by deliberation, the same of local low). Now about 200 municipalities are ZW municipalities involving 4,500,000 inhabitants and many others are ready to come. Capannori was also the first municipality promoting a ZW Research Center studying residuals promoting and involving Extended Producer Responsibility (EPR). Just yesterday Arte’ TV from France (but broadcasting in double languages: French and Dutch) was in Capannori for film shots about our ZW Research Center. We are sure that ZWE will be able to involve many European towns in best practice. We know that in addition to Capannori and Italy there are excellent ZW experiences in the Basque country, in Catalunia, in Wales and in Coventry area and in East Europe where in many countries young ZW movements are started as well as in Romania, in Baltic countries and in other countries. So I would like to thanks so much Joan Marc Simon because with him since 2006 we had a very tight relationship meanwhile Naples trash crisis was at its maximum level and meanwhile we launched in a strong way with Paul Connett and Gaia International a ZW campaign. Thanks JM and Aimee for your work again from Ambiente Futuro activists and from all my Lucca incinerator-free community. We are available to support every other community in the world fighting incineration and aiming for ZW goals remembering that ZW is not only about waste but also about democracy, justice, solidarity and for a better world. Hugs to everybody! Nowhere is the phrase “Mighty oaks from little acorns grow” truer than in the small town of Capannori, Italy, where a small but determined movement to stop the construction of an incinerator led to an Italy-wide grassroots Zero Waste movement. The area has one of the highest municipal recycling rates in Europe and is an example of strong policy decisions and community participation achieving groundbreaking results. Capannori, a town of 46,700 inhabitants near Lucca in Tuscany, was set to be just another step in the relentless march of waste incineration in Italy. The northern European model of burning waste to avoid the environmental and social problems associated with landfill and to produce energy was gaining traction in Italy, a country beset with a dramatic and urgent waste management problem. Local medical organisations and even environmental NGOs put up little resistance, seeing incineration as the least-bad solution to a seemingly impossible dilemma. Business interests and pressure from northern Europe contributed to a rush to incineration that seemed unstoppable. Those who should have mounted the most strenuous defence against the encroachment of incinerators were lacking. The public debate did not discuss the fact that incineration encourages waste generation, competes with recycling, aggravates the sustainability challenge, sparks corruption and releases toxic emissions while capturing just a tiny bit of the energy stored in waste. Communities such as Capannori were left to fight the construction of incinerators on their own. In 1997 primary schoolteacher Rossano Ercolini recognised the potentially damaging effects the planned local incinerator would have on the health of residents and on the surrounding landscape. With the help of Dr Paul Connett, a world expert on incineration and Zero Waste, he set about convincing local residents of the potential danger of erecting an incinerator in their community. The movement was successful in blocking construction and soon spread to three other communities threatened with incineration in the region. Tasked with implementing an alternative to incineration, Ercolini decided that the only approach was that of waste reduction. He took over the running of the local waste collection corporation, ASCIT, to create a door-to-door waste collection pilot scheme. After a year he stepped down from his role and went back to campaigning against incineration around Italy. 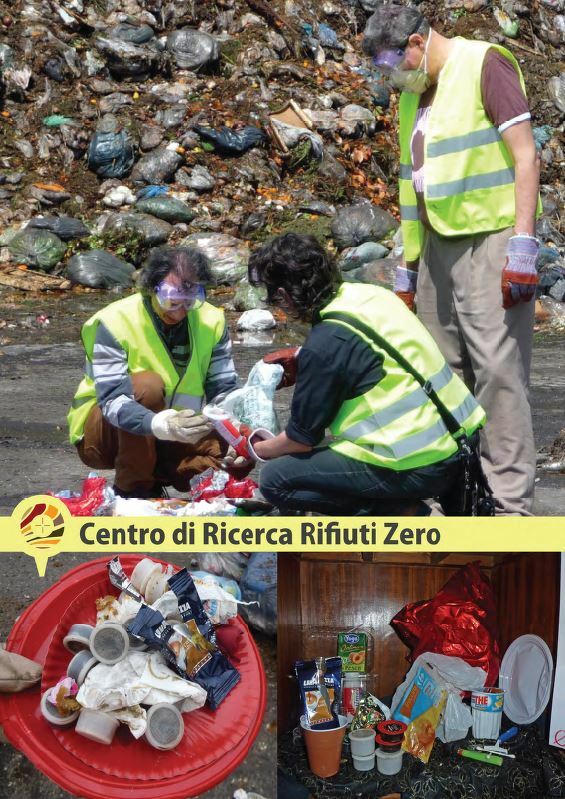 Ercolini managed to persuade the town council of Capannori to be the first in Europe to sign up to the Zero Waste Strategy in 2007, committing to sending zero waste to landfill by 2020. Door-to-door collection was introduced in stages across the municipality between 2005 and 2010, starting with small villages, where any mistakes could be identified and corrected early on, then extended to cover the entire municipal area in 2010. By that time, 82% of municipal waste was separated at source, leaving just 18% of residual waste to go to landfill. 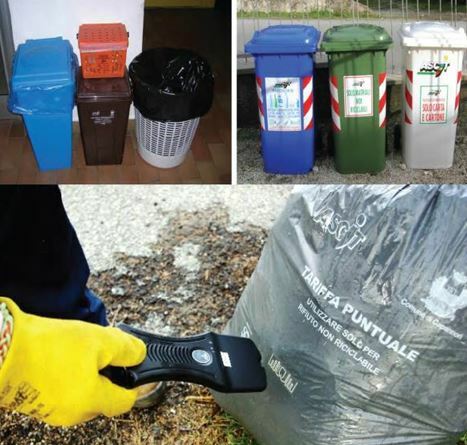 In 2012 a number of villages in the municipality became subject to a new ‘Pay As You Throw’ waste tariff, where the frequency of collection per household is measured using microchips in stickers on residual waste bags, scanned by a reader on the collection vehicle. In those areas the new tariff incentivized better separation and prevention, driving local source separation rates up to 90%. Local politicians recognize that the key to their success with the door-to-door collection scheme and other zero waste measures was the early and active consultation of residents. Meetings were held in public places to gather input and ideas and involve the local population in the Zero Waste Strategy. Printed information was sent to every address. A few weeks before door-to-door collection was introduced in a given area, volunteers distributed free waste separation kits to all homes, including the various bins and bags required and further printed information. Volunteers were trained to answer residents’ questions about the new scheme, all of which meant that participation was smooth, immediate and effective. A study carried out by La Sapienza University in Rome, comparing door-to-door collection in three communities in Italy (Capannori, Rome, Salerno) found that in Capannori participation (99% of inhabitants sort waste) and satisfaction (94%) were higher than in the other two communities. This correlates to the high percentage of Capannori residents who received literature about the changes (98.6%), attended meetings about changes in collection (46%) and know where to go to ask for information about waste collection (91%). The savings from no longer sending most waste to expensive landfill sites, and earnings from the sale of materials to recycling plants mean the scheme is economically self-sufficient, even saving the council over €2m in 2009. These savings are ploughed back into investments in waste reduction infrastructure, and reducing fixed waste tariffs for residents by 20%. It has also funded the recruitment of 50 ASCIT employees, boosting employment in the region. One of the most successful elements of the new collection system has been the diversion of the organic waste stream. 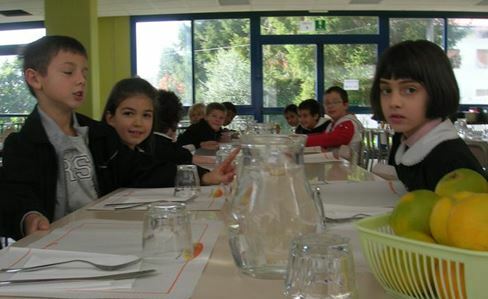 Not only does ASCIT carry out frequent door-to-door collection of organic waste, which is sent to a composting plant in the province, in 2010 public canteens in Capannori were supplied with Joraform composting machines. In the future these local collective composting machines could be extended to cover groups of residents, which can help to reduce the cost of collecting, transporting and treating organic waste by between 30 and 70%. Residents have been encouraged to take up home composting, with 2,200 households picking up free composters and receiving training on composting techniques. Those households that home compost are given a 10% discount on their waste tariff as an incentive, and spot checks have shown that 96% of households are still using their composters correctly. A biogas plant for the area is in the planning and consultation stage. In 2010 Capannori set up the first Zero Waste Research Centre in Europe, where waste experts identify what is still being thrown in the grey residual waste bags and come up with solutions to get that 18% figure down even further. Finding that items such as coffee capsules were among the most commonly discarded items, the Research Centre held meetings with coffee manufacturers such as Nespresso and Illy to work on biodegradable or recyclable alternatives. The high volume of disposable nappies in residual waste led the municipality to offer subsidized washable nappies to local parents. Taking a collaborative rather than combative approach has meant that manufacturers have responded positively, with coffee manufacturers initiating research into alternatives to capsules. Not only has work been done to improve recycling rates – emphasis has also been placed on reuse. The municipality opened its own Reuse Centre in the village of Lammari in 2011, where items such as clothes, footwear, toys, electrical appliances and furniture that are no longer needed but still in good condition can be repaired where necessary and sold to those in need, thereby diverting them from landfill and serving a vital social function. The centre is steadily expanding its activity- in 2012, 93 tonnes of objects were dropped at the centre and in 2013 those figures look set to rise. According to Rossano Ercolini, “The record figures from the Lammari ‘Ecology Island’ (drop-off point for bulky waste and reusable items, ed.) show that our culture is changing, partly due to the municipality’s policies. Whereas before people threw everything away, now they realize that recovering things not only benefits the environment, but also those who can buy them at affordable prices”. The centre also provides training in upcycling skills such as sewing, upholstery and woodwork, so as to spread the values and practice of reuse as far as possible. 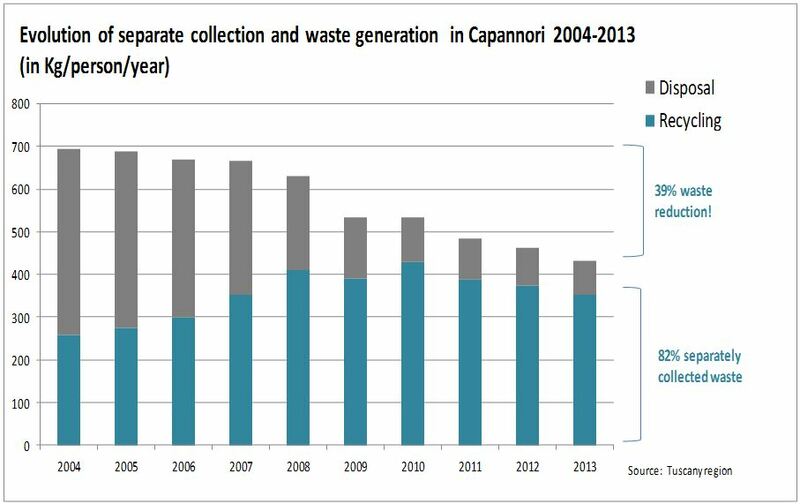 Where Capannori is truly leading the field is in the area of waste prevention – between 2004 and 2012 the overall volume of waste generated per person dropped by 39% (from 1,92kg to 1,18 kg/person/year) and it is foreseen that it will continue to go down thanks to the extension of pay-as-you-throw scheme to all the municipality. More impressively, the rate of unseparated –or residual- waste per capita was reduced from 340 kg per year in 2006 to 146 kg in 2011, a drop of 57%. Compare this to the figures for Denmark, 409 kg unseparated waste per capita per year (2011), and you can appreciate the scale of the achievement. This means that beyond just boosting recycling rates, local policymakers have looked at ways to reduce waste generation at source. As part of their Zero Waste Strategy, they have identified 11 areas for action. 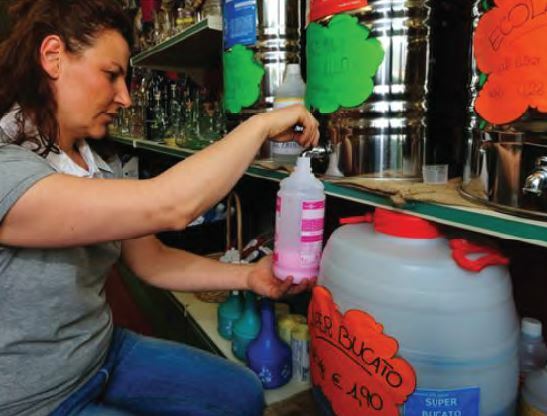 Perhaps the most visible of these is the sale of products loose or on tap – the municipal council provided tax incentives to local small businesses to stock products that could be refilled with customers’ own containers, such as liquid detergents. 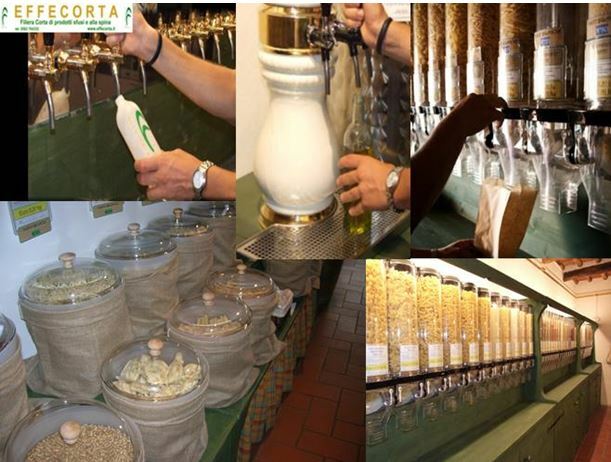 A grocery shop, Effecorta sprang up in Capannori in 2009 selling over 250 locally sourced food and drink products in bulk. Local residents can buy pasta, wine, oil and many other necessities without having to throw away any packaging. Two self-service refill stations for milk were opened, introducing a model of food distribution called ‘the short chain’ – the stations are supplied directly by a local farmers’ cooperative and consumers buy without the intermediary of a packaging plant or retailer, so that they pay lower prices and farmers make more on each litre. It has been enormously successful, with 200L a day sold through the stations and 91% of customers refilling their own containers, thereby cutting about 90,000 bottles out of the waste system. Other initiatives have included a campaign to increase consumption of tap water rather than bottled (Italians are Europe’s biggest consumers of bottled mineral water), doing away with disposable cutlery and flatware in public buildings including schools, distributing cloth shopping bags to all 17,800 households and 5,000 to businesses and stocking reusable nappies and sanitary products in municipal pharmacies. All of these initiatives are a result of proactive political nudges in the right direction, leading to residents becoming aware of and able to implement virtuous consumption habits. Taking a proactive, holistic approach and involving residents in all stages of policy development are the key elements that have led Capannori to top the European waste prevention leagues and, through its position as the Zero Waste Network’s Flagship Municipality, inspire other communities to aim higher than just fulfilling recycling targets. Its committed, visionary leaders have seen opportunities rather than problems, and through transparent engagement with the population have made this the achievement of an entire community. Today 100s of European municipalities follow the example of Capannori and Rossano Ercolini has been recognised for his efforts with the prestigious Goldman Prize Award 2013. Download the case study in PDF here. How much plastic litter is currently in EU waters? Recycling stagnates in the EU – lesson for EU waste & resource policy? Zero Waste goes to the European Parliament in Brussels! The art of Zero Waste! Households at a Tseung Kwan O estate have embarked on a two-month mission to help slash one of the biggest contributors to the city’s overflowing landfills – food. They have signed up to a pilot scheme under which 100-150kg of waste is being sent each day to be made into fish feed. Mak Chun-keung, chairman of the owners’ committee at the private Oscar by the Sea, said the scheme not only helped the environment but could also serve as a model for estates to reduce disposal costs if the government imposed a solid-waste charge. Of the 9,000 tonnes of solid waste discarded at each of the city’s three landfills each day, about 40 per cent is food. The 200 households in the Tseung Kwan O scheme have been issued with one-litre cartons capable of storing 1.5kg of solid-food waste including vegetable ends, expired produce and even shells and bones. The cartons are emptied at a collection point in the estate’s car park where a truck arrives daily to take the waste to a processing plant run by Kowloon Biotechnology in Lau Fau Shan. Ten tonnes of food waste can make a tonne of fish feed according to the World Green Organisation, the non-profit group that helped to roll out the scheme. To provide an extra incentive for participating households, each carton of waste earns stamps that can be exchanged for supermarket coupons. Mak said many residents had been taking their food waste to the collection point voluntarily. “It’s a very meaningful cause,” he said. WGO policy advocacy manager Angus Wong said logistics constraints and costs limited the programme to 200 of the estate’s 1,900 households. The scheme cost “about HK$100,000”. Launched in July, the scheme ends next month. But Mak hopes the government will help other estates to launch similar programmes in the future. For large middle-class housing estates, the costs of waste disposal could be absorbed easily. But poorer residents such as Mrs Leung, tenant of a subdivided flat in Sham Shui Po, said a waste charge would be yet another increase in their daily expenses. “Vegetables are already so expensive now. A new waste charge would definitely be a burden for us but if it is for the environment, then I would have to just support it,” she said.